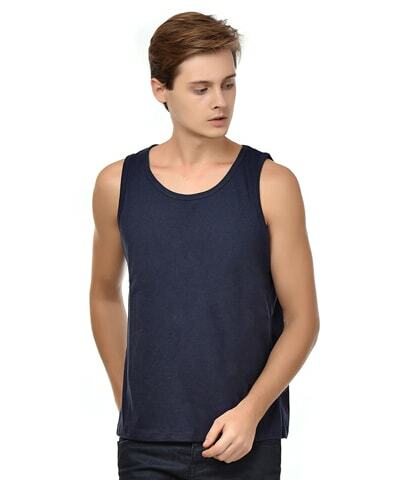 Men's tank vest , solid navy colour, softest, smoothest, good looking regular fit T-shirt for casual.. Tank Vest t-shirts are comfort wear for all seasons. You want to show strong more than your body structure & fitness. Neevov has acquired license and merchandise for Tank Vest t-shirts which are available with an exclusive range of fashionable casual wear for men. 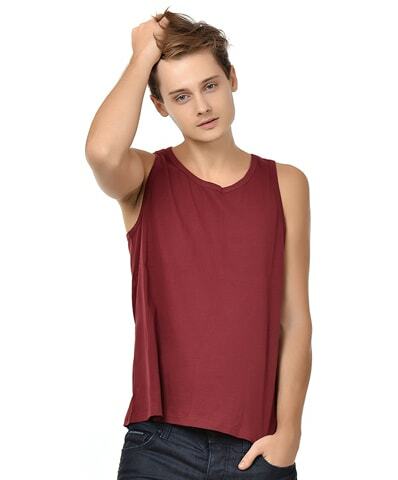 These are several awesome colours, for instance, Men’s black tank vest, Men’s white tank vest, Men’s navy tank vest & Men’s maroon Tank Vest etc. All these types of variety are available at neevov in India that you can choose to accord to your choice that makes your personality unique. Neevov offers plain sleeveless and 100% cotton material that makes it easygoing wear. There are some exclusive Tank Vest t-shirts have been used as undershirts, especially with suits and dress shirts. 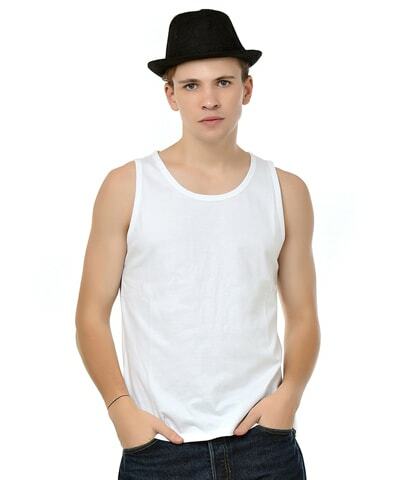 A Tank Vest t-shirt online shopping is a t-shirt made without sleeves or one whose sleeves have been cut off. A Tank Vest t-shirts are sleeveless t-shirts worn by casual wear upon the style. They are utilized as undershirts, are worn by competitors in games, for example, Olympic-style events and marathon, and are viewed as an adequate open easygoing dress in most warm climate regions. There is our size ranges this can be chosen by you to get an exact size range as S, M, L, X Lat Neevov in India. Whether you are half-hearted ready determine and say chill to your summer season after wearing Tank Vest t-shirt & feel cool and calm every day. Raglan t shirts for men and plain t shirts wholesale good plain to purchase quality clothing in summer season. Tank Vest t-shirts are something unique thus add to your summer holiday. You can look for better blatant choice without searching a lot come at Neevov and get the latest casual wear look. Tank Vest looks gorgeous for every body type & personality. You can look fabulous in your vest without working too hard on getting the look right. Vests look great on every body type, given you are styling them . The standard over vests is a win-win approach to style around them. Wear a Tank Vest with pants and an easygoing shirt left open alongside a couple of loafers or slippers for a common person adjacent look. 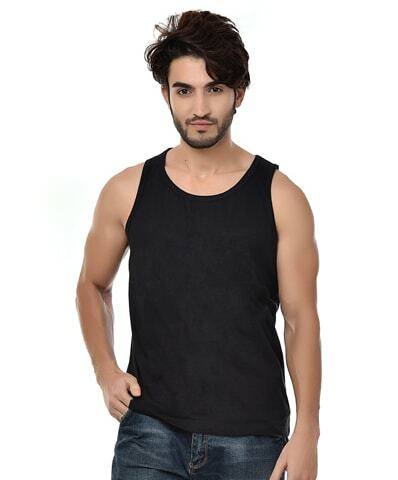 Men's tank vest, strong naval force shading, gentlest, smoothest, attractive consistent fit T-shirt for easygoing wear. 100% ring-spun brushed cotton, Single Jersey, Texture weight - 180-200gsm, Pre-Shrunk, and Bio-Washed Fabric, Customary and Comfort Fit, Side Stitched For Perfect Fitting, Neck cover-sewed, Twofold needle sewing on base and armhole collapsing.